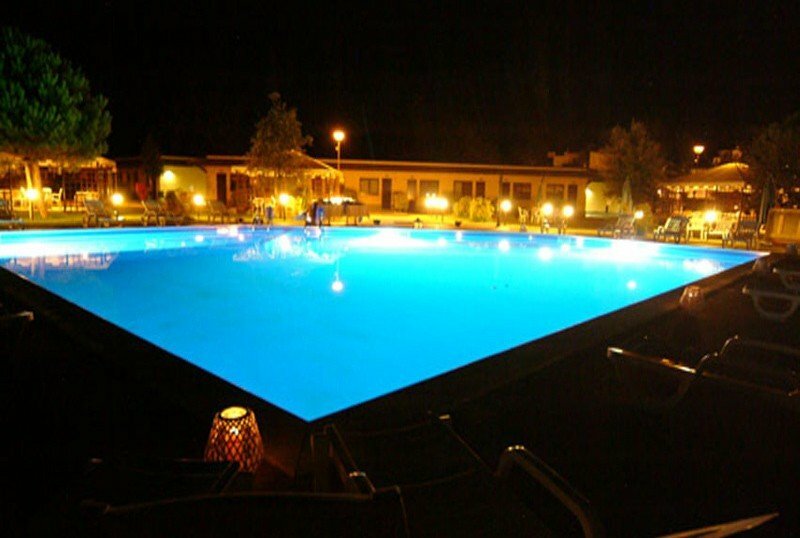 Hotel Koko, 3 star hotel in Milano Marittima, with a large park, swimming pool and wellness area, is characterized by the "village style" layout of the rooms, all with private entrance and private parking, some equipped for disabled guests. Accept small and medium-sized animals. 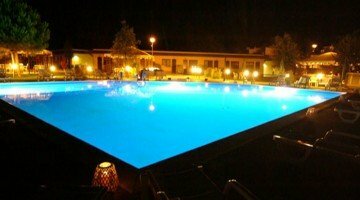 The hotel is surrounded by a 10 thousand square meter garden park near the centuries-old pine grove of Cervia Milano Marittima. The sea can be reached on foot with a short walk of about 8-10 minutes or taking advantage of a convenient free shuttle. The rooms, all on the ground floor, have an independent entrance and are located in different buildings inside the park, separated by gardens. They are equipped with balcony, individually controlled air conditioning and heating, electronic key, mini bar, TV, telephone, safe, hairdryer, bathroom with tub and shower, WI-FI, private parking. The hotel has a swimming pool with a children's area, a solarium, a garden with a playground area, a open-air porch, an open bar, a lift, a reading room, free use of bicycles, and a shuttle service. Equipped for cyclists, theme nights are organized. CONVENTIONS: beach, amusement parks, hotel-beach shuttle. PETS: small and medium-sized pets are allowed, with a supplement of € 15. BREAKFAST: sweet and salty buffet. LUNCH AND DINNER: menu with 3 or more choices, buffet of vegetables and appetizers, drinks with meals. In hotel: swimming pool for children, outdoor playground area, strollers until exhaustion, daytime and evening entertainment, baby / mini / junior club. Pediatrician on request. In the room: cots (camping beds) and safety rails for the bed. At meals: baby menu, baby food, seats at the table, bottle warmer, sterilizer, afternoon snack. Large swimming pool with children's area, WI-FI, sunbathing area with sun beds and beach umbrella, bar service (drinks included), live entertainment with baby dance and karaoke in summer. The structure has an agreement with the Bagno Oscar 335 with sports fields (beach volleyball, beach tennis, bocce courts, basketball, ping pong), baby park, baby dance, workshops for children, WI-FI, free audiobooks, bar, restaurant. All Inclusive prices are per day per adult with a minimum stay of 7 nights. Prices in B & B are per room per day (excluding Bridges, Holidays, Weekend). TOURIST TAX: excluded. € 1.00 (April-May-September), € 1.50 (June-July-August) for a maximum of 7 consecutive nights, excluding children up to 14 years. - Meals not consumed are not deducted from the final balance. - Deposit and cancellation: for cancellations more than 20 days before arrival, the full amount will be returned within 20 days. any sum paid reduced by the deposit will be refunded (as per provincial regulation, relating to the tourism sector). - For short stays will be returned the full amount eventually paid, reduced the deposit as a penalty. - In case of early departure, the customer will recognize the payment of 3 nights as a penalty (as per provincial regulation, relating to the tourism sector). Super Happy Family offer - 7 days in All Inclusive Open bar. 2 adults + 2 children up to 15 years of age are FREE! 2 adults + 2 children are FREE up to 15 years old! Enjoy your holiday for the April 25th Bridge in Milano Marittima! Request a custom quote without obligation. Choose the best offer for your beach holidays in Milano Marittima! Stays of minimum 7 nights, in All Inclusive Open Bar, starting from € 59.00 per person per day. Play area and much more. 2 children in room with 2 adults up to 15 years old are FREE. Request information and choose the offer that suits your needs. May 1st Offer Hotel Milano Marittima! Super May 1st Offer for families. Possibility of B&B formula from € 32.00 per person per day.